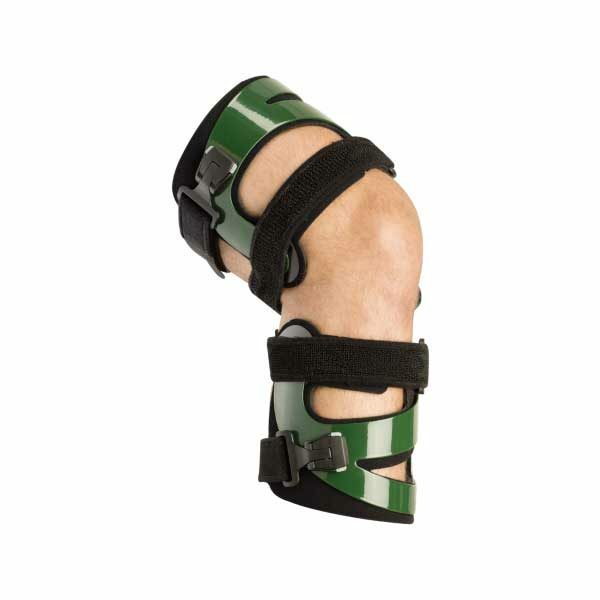 The Legacy Thruster is a small, lightweight single-upright brace with the hinge on the affected side of the knee. This design creates relief by pulling the straps to open the joint space versus pushing against the opposite side of the knee. This design addresses OA conditions only, not associated with ligament instability.